Have you considered using bamboo diapers but don’t know what to expect? Or, even what they are? Want to know if bamboo diapers are safe for your baby and if they’ll help lower your carbon footprint? 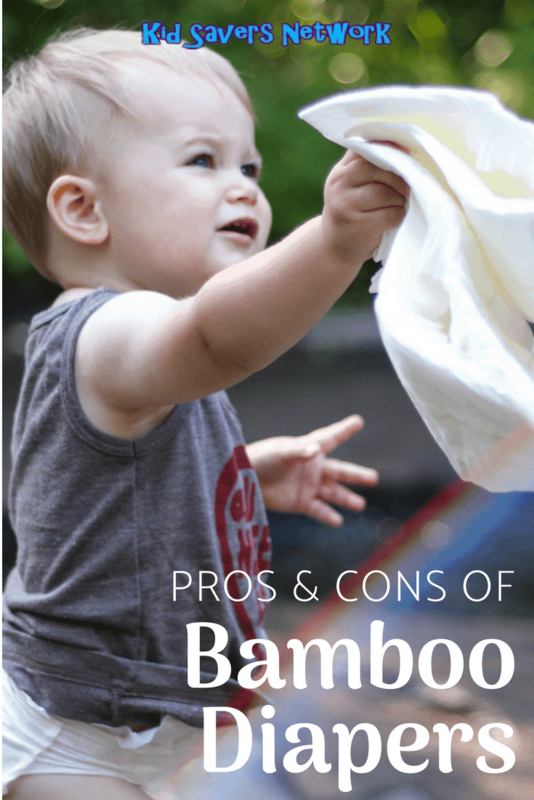 Well, read on and find all the answers you need about bamboo diapers! Our list of the pros and cons of can help you decide whether to give them a go or not. We’ll also discuss in more detail the environmental and cost implications of making the switch. 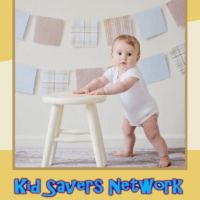 Bamboo – A Greener Solution For Diapers? How is Bamboo Processed into Fabric? If you have kids (and I have two of the rug rats currently 1 and 3 years-old!) you’ll know that diapers pile up and up. When you start throwing them out on a daily basis, you realize just how much waste they create. Well, bamboo diapers come from a natural source that is easily replenishable. And they’re 100% bio-degradable too. What really surprised me is they’re actually more absorbent than cotton! Bamboo is considered to be a “green” crop for several reasons. It absorbs more carbon dioxide than many other trees and plants do. And as bamboo is also from the grass family, it replenishes itself quickly after being harvested. Not only that, but bamboo grows without the need for irrigation, pesticides, or fertilizers. If you’re trying to raise children and lower your carbon footprint (no easy task as this article points out) these are all big pluses. Bamboo is a fast-growing plant in the grass family. When it is processed to be made into fabric, it is then technically called a Rayon fabric. Rayon fabrics can also be made from other materials such as cotton or wood pulp. How is bamboo turned into Rayon fabric? A chemical called Sodium Hydroxide, also known as caustic soda, is the key factor at play. Sodium Hydroxide is a strong chemical, but it poses no health hazards as long as it’s used and disposed of properly. In fact, Sodium Hydroxide is used to process cotton into fabric, as well. So the process is completely safe. You might even be wearing clothes made with Sodium Hydroxide as you read this! The “Articial Silk” material is incredibly soft. They offer a trimmer fit because they have fewer layers of material. 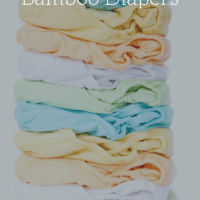 Bamboo diapers stand up to heavy wetting due to their increased absorbency. They make for a good, overnight diaper. Bamboo fabric wicks moisture away from the body better (so it”’ keep your baby drier) than even 100% cotton does. 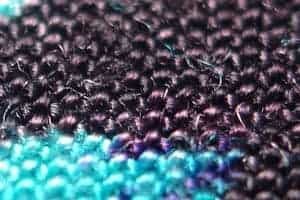 The fabric is naturally antimicrobial and antibacterial. Cotton is not antibacterial. Bamboo fiber helps to reduce and even destroy odor-causing bacteria. Bamboo diapers are naturally hypoallergenic and are good for babies with sensitive skin. They are perfect for gluten and dairy-free babies. The fabric is more breathable than cotton and other fabrics. It allows for better circulation of air as baby moves which reduces the risk of built up bacteria caused by warmer temperatures. These diapers have insulating properties which will help your baby stay cooler in the summer and warmer in the winter. Many babies who are sensitive to synthetic materials do better after switching from traditional cloth diapers. They have more elasticity than other fabrics resulting in more comfort for baby. 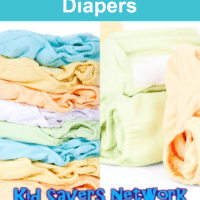 Bamboo diapers are very durable and stand up to many washings. You can reuse them with your next baby. It is a naturally organic fiber. It is 100 percent biodegradable. Bamboo crops generate up to 30 percent more oxygen than other crops and even more than trees do. Bamboo helps to reduce carbon dioxide in the environment which is blamed for the destruction of the ozone layer. Bamboo crops contribute to enriching the soil, while cotton crops drain and deplete it. It’s is the fastest growing plant in the world which means it’s completely sustainable. Some people debate how “environmentally friendly” they are because of the processing procedures. Watch out for bamboo diapers that are made with a cotton blend. Be sure that the cotton blend is organic compared to traditional cotton which is grown with the use of pesticides. They are slightly more expensive and this cost will add up over time. The fabric holds on to stains more so than other types of fabrics. 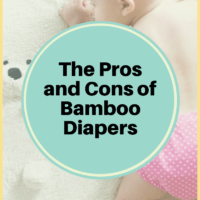 It’s fair to say the pros and benefits of bamboo diapers outway the cons. Not only are they beneficial for your baby’s health, but they are also “greener” and environmentally friendly. It seems that the biggest con is the cost. But if you feel the environmental benefits are worth it, and want a longer lasting diaper then you won’t mind! 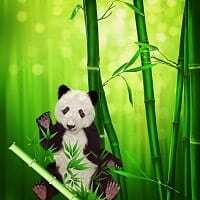 Remember, please share this article so others can learn more about the many benefits of bamboo diapers!